TEHRAN, April 30--Storytelling in Iran is considered an art form, and students in Tehran take part in special classes to learn the skills of the genre from a famous narrator. Iran has a proud tradition of storytelling. 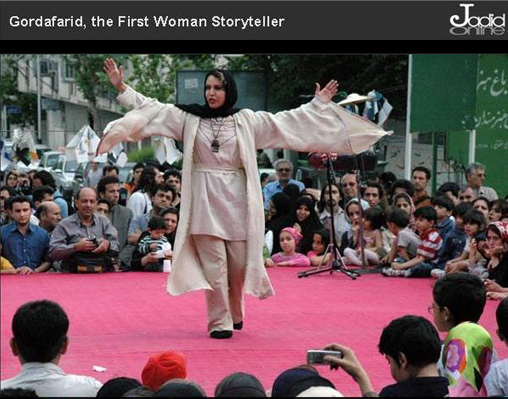 Fatemeh Habibi Zad is Iran's first female storyteller. 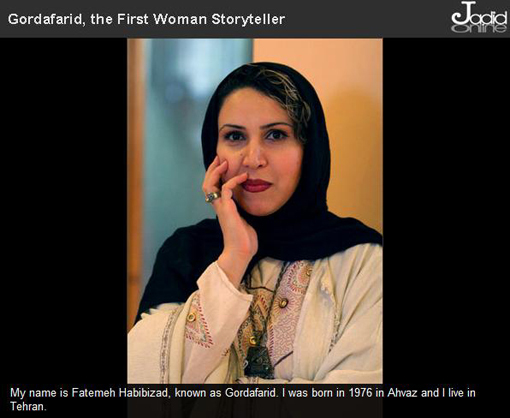 She is known by her professional name Gord Afarid, which is the name of a heroine in the Shahnameh. The Shahnameh or The Epic of Kings is a series of classic stories about ancient Persia by the poet Ferdowsi who worked for thirty years to finish this masterpiece. Gord Afarid, who trained as an archaeologist, has been telling stories for the past eight years. She says that although the characteristics of the narrator are mainly masculine qualities she feels she brings a unique way of narrating stories to the role. She says there has never been a female storyteller who performed before large audiences before. The narrators must use their voice and mime actions to bring an extra element of drama to the performance. The advent of television means this once popular performance art is less in demand but Gord Afarid is keen to pass on the skills so this uniquely Iranian art form endures. Gord Afarid says that a successful narrator must have a strong voice that can mimic the sounds of animals. She says it is amazing to witness one person perform many characters on stage. Gord Afarid says that Iran's geographical location means that it has experienced a turbulent history full with invasions and bloodshed, perfect for epic tales of heroism. But she says that it is not all about ancient warriors and there are also love stories. Gord Afarid says that the stories of Shahnameh are also enjoyed in neighboring countries. In Iran they have begun to hold storytelling contests to encourage other women to take up the art form and preserve this traditional skill for the enjoyment of future generations.